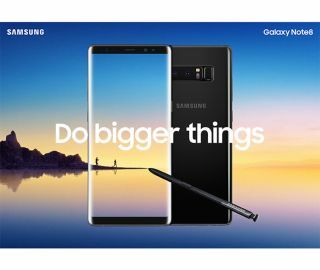 Samsung's Galaxy Note 8 will support HDR video from Netflix | What Hi-Fi? Samsung's new smartphone follows the LG V30 and Sony smartphones in supporting HDR video on Netflix - and it's possible the Note 7, Galaxy S8 and Galaxy S8+ will follow. The Galaxy Note 8, Samsung's yet-to-be-released smartphone, has another spec to its name: its the fourth smartphone to support HDR video from streaming giant Netflix, according to Netflix’s support page (spotted by SamMobile). The others in that range are the LG V30, and Sony’s Xperia XZ1 and XZ Premium phones. HDR, or 'high dynamic range', aims to heighten the contrast between the brightest whites and the darkest blacks, and as such deliver a more realistic picture. The Galaxy Note 7 was the first Samsung smartphone to support HDR (yes, the one that exploded - but there is a new one), with the Galaxy S8 and the Galaxy S8+ following suit. However Netflix, one of the primary providers of most people's HDR content, didn't allow support for high dynamic range on those mobiles. As such, it's possible that older Samsung devices will receive an update when the Note 8 is released on 15th September. However, HDR does have some competition: rivalling firmware comes from Dolby Vision, which adjusts the picture frame-by-frame to theoretically give greater accuracy (although we've found that this could vary, depending on how well it is implimented by the disc). Samsung also has its own format, HDR10+, which isn't particularly common but has been adopted into Amazon Prime Video.